The new Epson SureColor SC-P8000 STD Spectro 44" 8 Colour Photo Printer. Take your professional photos and fine art prints to new levels of quality with the Epson SureColor SC-P8000 STD Spectro Spectro 44-inch 8 Colour photo printer. The Epson SureColor SC-P8000 STD Spectro 44" 8 Colour Printer is able to produce 98% of Pantone-certified1 colours for accurate reproduction, the SC-P8000 STD Spectro Spectro Printer comes with an eight-colour ink-set and an Epson TFP PrecisionCore printhead to create accurate and long-lasting results. 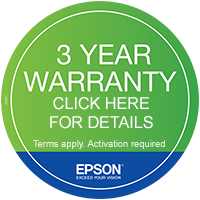 The Epson SureColor SC-P8000 STD Spectro 44" 8 Colour Printer with advanced engineering coupled with a range of easy-to-use features to provide users with the ultimate printer. Wide colour gamut - Epson SC-P8000 STD Spectro gives bright, vivid and accurate colours! The Epson SureColor SC-P8000 STD Spectro printer features an UltraChrome HDX eight-colour pigment ink-set, the SC-P8000 STD Spectro delivers 98% of Pantone®-certified1 colours to create superior-quality, highly accurate results with bright, vivid colours. For stunning prints, the SC-P8000 STD Spectro printer has an 'Advanced Black and White Mode' that helps produce high density, deep, rich blacks and ultra-smooth tones. Using an Epson TFP PrecisionCore printhead and automated nozzle-check function, users can be sure they will deliver the highest quality print results. Consistent colour reproduction is guaranteed with the Epson SureColor SC-P8000 STD Spectro 24" 8 Colour Printer, time after time and without the need for expensive add ons, thanks to an Epson Colour Calbration ultility and optional Spectroproofer powered by X-Rite for fast, accurate colour measurement (not included). The Epson SureColor SC-P8000 STD Spectro is easy to use and cost effective. Every aspect of the Epson SureColor SC-P8000 STD Spectro 44" printer has been designed to maximise ease of use and reliability. Inkjet media changing is fast and simple with a clear LCD control panel and menu, while a choice of 350ml and 700ml individual Ink cartridges enables longer print runs between Ink cartridge replacements. With an optional 320Gb hard disk, users can free up their computer and store multiple jobs onto the printer ready for output. The Epson SureColor SC-P8000 STD Spectro printer gives long lasting results. Thanks to superior lightfastness, prints on Epson Media with UltraChrome HD pigment inks will continue to look their best long after they are created. In fact, prints on Premium Glossy Photo Paper can last up to 60 years2.